Man, there was great ene rgy in Gamble Hall today! 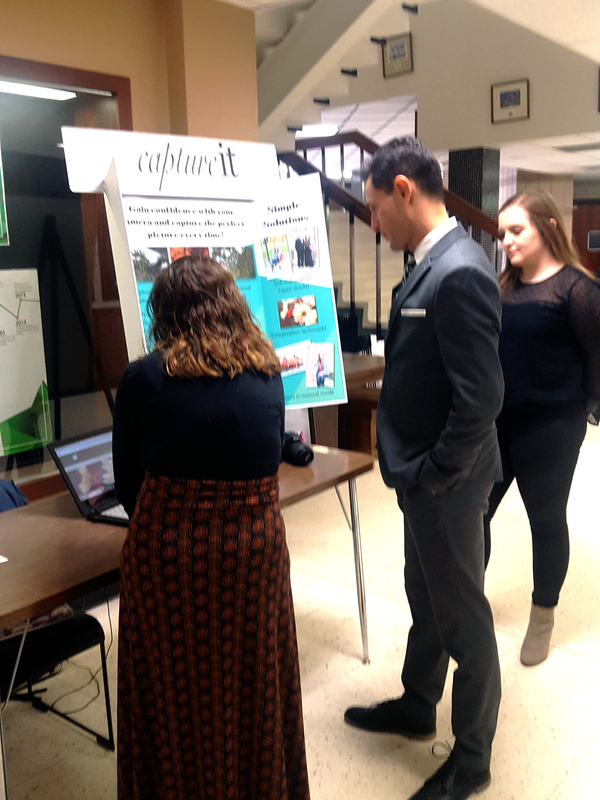 If you walked to class through our building over the lunch hour, you would have seen about ten different student teams pitching their capstone projects to anyone and everyone who’d listen (I got offered donut holes to learn about a solar-powered solution for cattle ranchers). This CoBPA “Market Place” encouraged students in Technology & Entrepreneurship to present and promote the products of an entire year of designing, building, and testing ways to solve a concrete problem or fill a “real-world” need. Cool experiential learning, great beta-testing, awesome skill-building, and maybe even a product to try to take to market. There were websites and apps, solutions for lawns and farms, battery-powered help for biking to work or school, and a home-gym device that rethinks the pushup. Had to try that one, which sure tested my ability to do pushups in a suit-and-tie! Gotta get it! ← What A Fine Day!